Mom: Time for homework, dinner is almost ready! Dad: Jimmy, turn off that game and come do your homework NOW! Oh. Oh. And this is only the second week of school. Only 39 more weeks of pushing and prodding to get homework going (just like last year…). My friend (and award-winning author), Ann Dolin, wrote a book a couple of years ago: “Homework Made Simple: Tips, Tools, and Solutions to Stress-Free Homework“. In a recent interview*, she mentioned a few strategies to make homework time happen without the daily tears. Over the past few years, many people have asked me to include Private School information in Home by School.com. And up until now, I didn’t have the ability to provide those answers. The good news is that now we have a relationship with a great person in our area’s educational space who can answer all your questions – and beyond. Back in October of 2012, my husband and I took a little weekend trip up to Cape Cod, MA. While on the airplane, I was lucky enough to sit next to a really nice lady. She seemed to be very busy writing a post for her own blog. She was writing about Private Schools in the Washington, DC area. 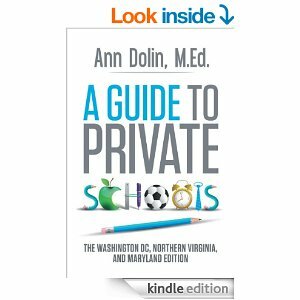 Needless to say, I was very intrigued since I also write often about public schools in Fairfax County. So I carefully apologized for being nosy, introduced myself, and told her that I was very intrigued with her topic. 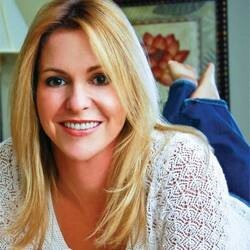 Ann is a speaker, author, consultant, and all-around education expert. So, we got to chatting, I told her about this website and about how some of my readers had asked me for private schools information. She was kind enough to agree to guest post on the topic of Private schools vs. Public Schools (especially since our Public Schools are so highly rated, why do many people send their kids to Private Schools? ).